Shout! 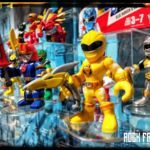 Factory Announces Power Rangers Dino Thunder & MMPR Complete Series Rerelease Coming October 2016! 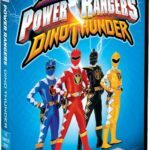 *First up, Power Rangers Dino Thunder will be receiving a Complete Series DVD Release! 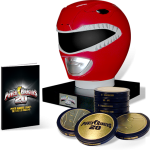 This 5-disc set containing all 38 episodes (including the special tribute Legacy Of Power celebrating 500 episodes of the Power Rangers series) will be released on October 18, 2016 for the very modest price of $19.98 USD. *Next, Shout! has announced a special rerelease of Mighty Morphin Power Rangers: The Complete Series! This will be similar to the hardcover set released by Shout! back in 2012, in updated (and sadly at time of writing, unrevealed) packaging. This 19-disc set will also be released on October 18, 2016!